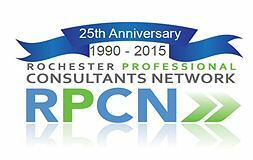 There is no RPCN meeting on Friday, April 29, the fifth Friday of the month. So if you are beside yourself for what to do, or want to get to know your RPCN colleagues in a more informal setting, come to this social gathering. We’ll be returning to Pomodoro’s, one of our favorite venues, and you’ll have a chance to check out their new facelift. Follow the signs to RPCN's reserved space, near the bar.